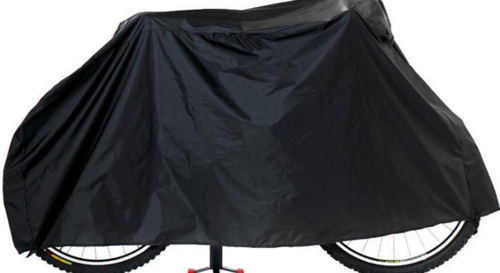 Regarded amongst one of the supreme organizations, we are enthusiastically committed towards offering a comprehensive assortment of Bike Cover. Using optimum quality material and progressive machinery, these are designed at par with the market set norms and quality standards. Along with this, their obtainability with is in varied sizes has assisted us in becoming one of the supreme choices of the market. Established in the year 2005, Arshiya Enterprises is the foremost organization, engaged in manufacturing, supplying and trading a comprehensive collection of Parking Bike Cover, Bike Seat Cover, Scooter Seat Cover and Auto Rickshaw Seat Cover. Designed and fabricated using supreme-quality material and ultra-modern technology, these are developed and designed with supreme precision in order to meet the universal guidelines. These products are extensively valued amid patrons for their merits such as smooth finish and alluring designs. Customers can purchase the provided products from us at the most inexpensive rates.